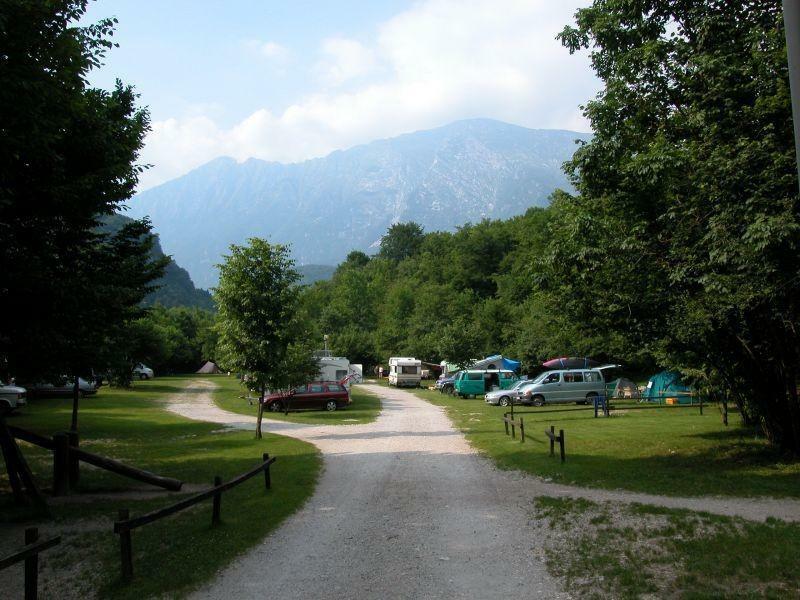 Koren Kobarid Campsite is an ECO campsite located in the beautiful nature that offers a variety of sports activities that can be practiced outside. We are extremely proud of our extraordinary position – the camp is located just above the beautiful river Soča in Soča valley. Our camping site measures approximately 4000 square meters in size and can accept 280 guests at once. There is a myriad of sports activities available inside the campsite as well as outside the area. You can enjoy our volleyball courts with friends and family or decide for table tennis instead. To make the activities more diverse there is also a pétanque court available in the campsite. Children can enjoy playing on the playground with outdoor play equipment, climbing frames, a slide and a climbing wall for children. Nevertheless, you should not underestimate sports activities that can be done outside of the camping site. From Tolmin to Bovec, Trenta and Vršič, all the way to Kranjska Gora you can find fabulous places to practice a variety of sports. Krajnska Gora is especially known as a gorgeous skiing resort so if visiting in winter, it is a ”must stop” spot for skiers. At Koren Camping, we are also proud of our climbing wall, where enthusiastic climbers can test their skills. We have a 8-m-high climbing tower available, which offers a range of climbing challenges to everyone, even for experienced climbers. Furthermore, routes are for children and complete beginners, for middle-grade climbers and experienced professionals. Our guests can climb on three different sides of the tower. This assures that the climbing tower can be used by more climbers at the same time. One can also climb the nearby natural climbing walls, which are only half an hour's walk away from the campsite. Additionally, we must not forget about the adventure park which offers fun for everyone.